Ahead of Saturday’s presidential election, the Presidential Campaign Council for the re-election bid of President Muhammadu Buhari has revealed how members of the ruling All Progressives Congress (APC) will guard their votes. 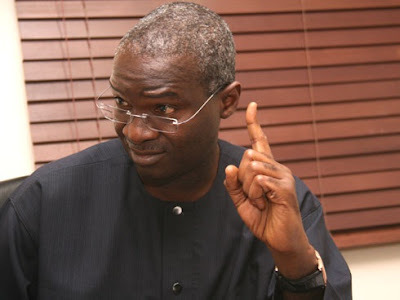 Minister of Power, Works and Housing, Mr Babatunde Fashola made the disclosure in Abuja, while inaugurating members of the council’s election planning and monitoring directorate. Fashola, who is the head of the Directorate called on members of the committee and all party members to go to ward levels and stay till voting, sorting and counting ends, to ensure victory of the party in the election. He said the APC cannot afford to allow erstwhile ruling party to return to power because of the ongoing infrastructure development, insisting that Buhari has achieved a lot in areas of security, economy and infrastructure development. He added that electorate should, by all means, reject political parties which do not have members at the National Assembly, saying the directorate’s main objective is to coordinate, plan and monitor election processes. “The main project is essentially getting more members, more public spirited people across the country, who believe in the development mandate of our party and our government to tackle insecurity, to fight corruption and to develop the economy. Elections in a pure democratic soceity should be devoid of violence. The spate of violence in the southeast and southwest as perpetrated and orchestrated by PDP is alarming. The federal govt should rise up to the challenge and ensure adequate security measures to protect the lives and properties of APC members in the southeast including Ebonyi state where some APC members were shot and matcheted earlier this week. I urge Ebonyians to embrace the spirit of sportsmanship and not see elections as a do or die affair. Enough security personnels should be deployed to every polling unit accross the country or some people will lose their precious lives in the process of excercising their franchise.